Our studies are elucidating the pathogenetic mechanisms of mutations that cause human malformations, signaling pathways and networks in abnormal developmental processes, and phenotype-genotype correlations. Current experimentation involves gene expression, epigenetic, and protein interaction studies in mouse models, biochemical, and cellular systems including induced pluripotent stem cells. State of the art technologies are being used including laser capure microdissection, single cell RNA sequencing, and whole genome sequencing. Human population association studies are being conducted on nonsyndromic congenital anomalies such as isolated craniosynostosis and cleft lip with or without cleft palate. 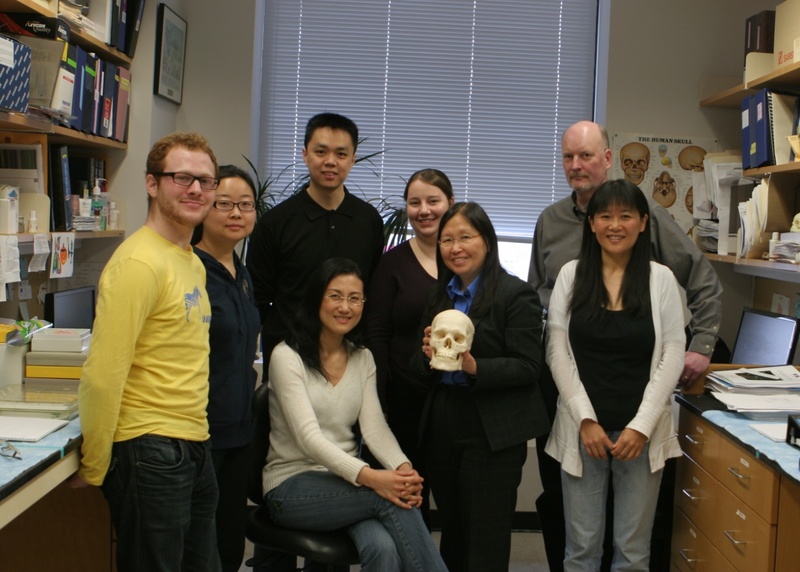 Alterations in candidate genes and genome wide variations account for abnormal as well as craniofacial variation in head shape, facial features, and bony structure in the general population. Based on these findings, therapeutic strategies are being tested to ameliorate abnormal craniofacial development and morphology. We are also performing research involving clinical trials using educational interventions on genomics of complex disorders for physicians and the community toward translating research findings on genetic information to the public. Our projects have been funded through multiple grants from the NIH, CDC, Moebius Syndrome Foundation, Smile Train, and Icahn School of Medicine.